break the vicious cycle of diseases and problems caused by poor hygiene, lack of accessible water supply and polluted drinking water. create conducive learning environment and improve living spaces for school children by eliminating pit latrine odours in school compounds and managing sewage waste sustainably, school by school. runs its own projects in the field of water, sanitation and hygiene (WASH) from design to implementation to maintenance. works closely with local government agencies and self-help groups. 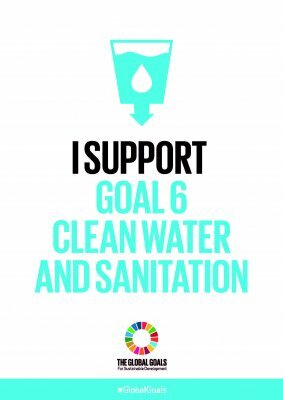 promotes children’s health both – boys and girls, development with dignity and self-confidence through improved sanitation. does classical missionary work in partnership with local churches and youth groups. is evidently working on the ground, meeting real needs. promotes regional and local resources through its activities. Our help is paying off! Thanks to our sponsors in 2018, 700 children now have access to a hygienic sanitation facility. 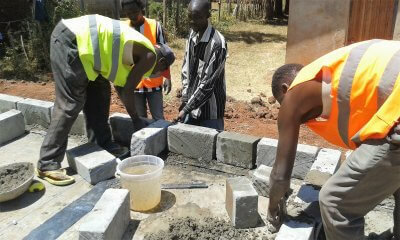 We have successfully built the first school toilet facility in Kitale, Kenya. In September 2018, Hand of Progress e.V. 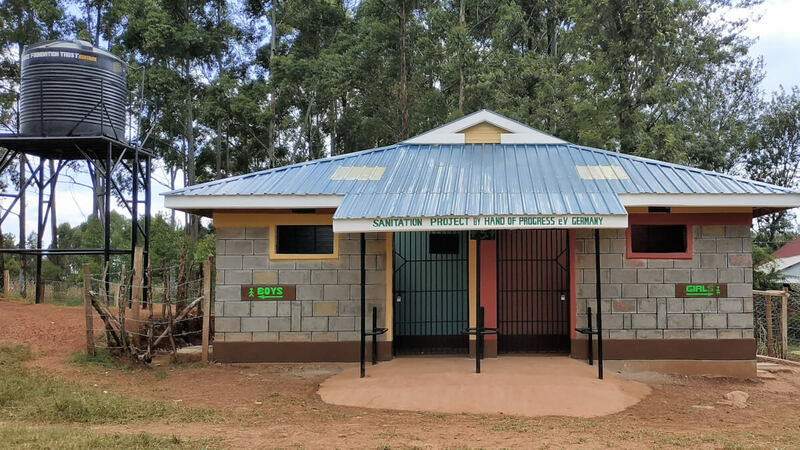 together with our local partner organisation Grace Foundation, opened a toilets facility to 700 children at Mukuyu Primary School. The children gratefully deserted their old latrines that were not only smelly and full to capacity without sewage possibilities but especially dangerous to young children and girls. 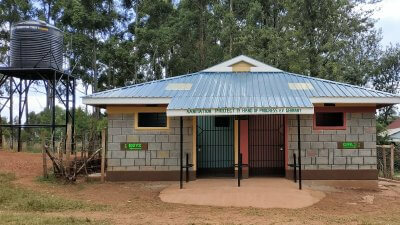 In addition to the safe pour/flush toilets, a newly dug borehole on site provides enough water to keep the facility clean and for the children to wash their hands. Water for a school life! Our next move is to ensure safe drinking water in the new facility. At the moment, the children spend the whole day and week at school without any drinking water. Improved Sanitation School by school! 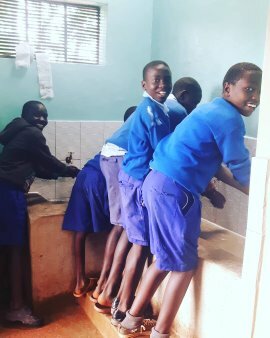 The plight of poor sanitation is evident in Imaculate Boys and Girls secondary schools, the neighboring schools to Mukuyu Primary in Kitale / Mukuyu, Kenya. Young girls and boys between the age of 13 – 20 shower mostly in the open under the star studded Kenyan skies at night. Unfortunately, it is not the beauty of the night but lack of choice that forces them to clean themselves in the open. The stench exuding from their unhygienic latrines is abhorrent. Often times, the girls have to leave their safe school compound in search for water for their general hygiene. Hand of Progress e.V plans to build the next sanitation facility in Immaculate Girls school and ensure accessible water to the facility to counteract the mentality in schools that cleaning hands and toilets with water is a waste.